Why would I need self storage in Aurora, IL? There are a variety of reasons why you might need self-storage in Aurora, IL. How much is a storage unit in Aurora, IL? The cheapest storage unit in Aurora, IL is $32.00 per month. What size storage units do you have available in Aurora, IL? In Aurora, IL we have sizes that range from 5'x5' to 10'x30' to suit your storage needs. How much is it for a 5'x5' storage unit in Aurora, IL? The cheapest 5'x5' storage unit in Aurora, IL is $32.00 per month. Aurora, a suburb of Chicago, is nicknamed the "City of Lights" because it was one of the first in the nation to use an all-electric streetlight system. Since its early beginnings in the mid-1800s, Aurora has grown to become one of the largest cities in Illinois. The city is among the fastest growing in the nation and has expanded its limits several times over the past several decades. Today, it spans DuPage, Kane, Kendall and Will counties. Aurora is home to a varied collection of interesting architecture, including buildings by Frank Lloyd Wright and Ludwig Mies van der Rohe as well as a large number of Sears Catalog homes. With an active economy, an affordable cost of living and attractive amenities, Aurora is expected to continue its impressive growth. Aurora boasts an inviting blend of urban and suburban living. Less than 40 miles west of Chicago, Aurora is often referred to as a Chicago suburb, but it also maintains enough distance to have its own distinct identity. Aurora houses several museums, golf courses, theaters, parks and even a large local casino. The city hosts several large events and festivals throughout the year. Many of these special events are focused on local arts and culture. Downtown Alive is a summer music festival that attracts a number of visitors and features live musical performances and a variety of food vendors. The Aurora Art Walk is hosted by the Cultural Creatives, a local group that works to promote the arts in Aurora. Thanks to its location on the edge of the Illinois Technology and Research Corridor, the city is home to a number of prominent manufacturing companies. Caterpillar Inc. provides thousands of manufacturing jobs in Aurora and is among the area's largest employers. Other large employers include the local school districts and medical facilities. If you're looking for a job in leisure and hospitality, Hollywood Casino Aurora has plenty to offer. 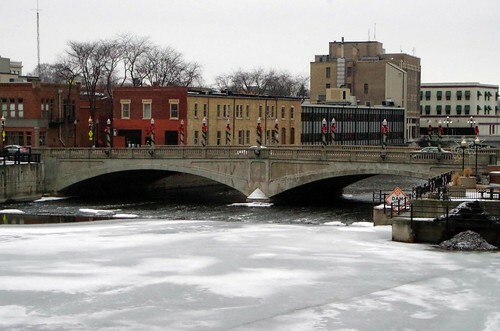 Downtown Aurora has a high concentration of shopping, dining, arts and culture. It's home to the SciTech Interactive Science Museum, with over 200 hands-on exhibits; special family-friendly events; and one of the country's few STEM-focused preschools. Downer Place is named for the long road of the same name that runs horizontally through Aurora. This neighborhood was the first in Illinois to have legal loft apartments, which were constructed in 1980. Despite its misleading name, the Fox Valley community is actually located quite far from the Fox River and its connecting valley. It's home to the Fox Valley Parks District, which has won national awards for its high-quality parks, programs and facilities. The West Side Historic District is home to some of the oldest buildings in Aurora and was a popular choice for affluent residents during the 1800s. There are several historically important homes in the community, including the Col. Ira C. Copley Mansion, built for a local utilities tycoon. Several different districts manage Aurora's public schools, which span elementary, middle and high schools. The city is also home to a large public magnet school, the Illinois Math and Science Academy. If you'd prefer to enroll your child in an Aurora private school, there are several parochial schools as well as a Montessori elementary school. The city is home to a handful of postsecondary schools, the largest being Aurora University and Waubonsee Community College. Utilities: As a resident of Aurora, you have the right to choose your electrical provider. The main provider in the area is Homefield Energy, but another popular option is ComEd. The city manages water and sewer services. Garbage and Recycling: The city facilitates weekly curbside collection of trash, recyclables and yard waste. Your location will determine your assigned collection day. Transportation: Public transit in Aurora is available via bus six days per week, with no service on Sundays. The median home and rent prices in Aurora are fairly even with the national average, making it a fairly affordable place to live. Because the city offers a variety of housing options, ranging from single-family homes to downtown lofts, you'll be able to find something that fits your needs. Our lowest priced units in Aurora, IL average $38.50 per month. 247 people have reserved units in Aurora, IL in the past 30 days. There are 4 locations within Aurora, IL's city limits. There are 2 locations in Aurora, IL that offer AC and Heating features.